Are you a music partner—such as a record label or music publisher—that is ready to put your music catalog on YouTube? We’ll cover how you can manage your music on YouTube and share strategies to help you maximize the value of your assets on the platform. YouTube's Content Manager and Content ID are tools to help you bulk upload content, organize the channels for your business, and manage your digital rights at scale. You can find more instructions on how to use these features in the YouTube Partner Operations Guide. To get started, be sure to configure your account settings to support your business. For example, you can set up email notifications to specify who gets informed for certain situations. Configure CMS users: Administrators can assign roles and permissions, granting access to different functions. For example, your organization can allow some users to upload videos and other users to see revenue data. 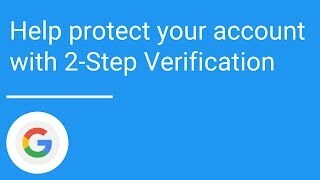 Turn on 2-step verification (outside of CMS): This adds an extra layer of security by requiring a verification code or security key, along with your password, to sign into your account. Here are some other security recommendations. Set up your content owner account and link to your channels. Invite users to manage content on behalf of the content owner. Take the Security Checkup for your Google account. Contact your partner manager if you have questions about enabling Content ID. An administrator can invite other users to manage content for the content owner and assign content management permissions. This verification technique combines something you know (your password) and something you have (your phone or security key). Link an existing channel or create a new channel within Content Manager. Linking a channel gives the content owner the right to apply monetization policies. Labels can publish videos on their linked channel, while publishers can use the channel to enable AdSense linkage. Set permitted advertising formats. From Settings, choose which ad formats you want to allow for monetized user-uploaded videos that you claim. You can maximize your earnings by allowing all ad formats on claimed content. Need help? Consult our AdSense Help Center to resolve common issues. Knowing about asset types can help you determine how your intellectual property is managed and monetized on YouTube. For an overview of digital rights management on YouTube, read through Content ID for Music Partners. Your access to specific functions in Content ID may depend on your contractual relationship with YouTube. An asset is the representation of your intellectual property in the YouTube rights management system. As a music partner, it’s important to understand the relationship between music assets because this can impact how you claim matching content and how you earn revenue. The image above illustrates the embed relationships between various music assets. Music Video - The official music video for a recording; has an embedded Sound Recording asset. Art Track - A Sound Recording with a still image; YouTube creates an Art Track from an uploaded recording, artwork, and metadata. Sound Recording - An audio recording; the underlying publishing ownership is represented by all embedded Composition Shares. Composition Share - An ownership share of a musical composition; embedded within a Sound Recording asset. Other asset types cover content that isn’t specific to music partners. If you also control rights to non-music content that you plan to share on YouTube, check with your partner manager to determine the requirements. If you’re a publisher, YouTube offers templates to streamline the delivery of your composition data. To prepare for delivery of files, check “Settings > Users” to confirm you have Content Delivery enabled for your role. Next, check “Content ID > Policies” to verify your Default Match and Default Usage policies (learn more). If you’re uploading and managing a lot of content, compare the delivery methods available to you. Keep in mind that some methods may require technical expertise. To deliver composition metadata using spreadsheet templates, follow these steps. First, navigate to Templates and download the “Audio - Composition” CSV template. See the top rows for instructions on populating the template. When ready, navigate to “Content Delivery > Validator”, click “Choose File”, and select your CSV file. Click “Validate”. If you find errors, fix them in your CSV file and repeat these steps. If everything looks good, click “Upload metadata” to submit. Here are more tips on using the Metadata Validator. Under YouTube’s publishing data model, each publisher has ownership of “Composition Share” assets. You can add or modify embed relationships between Composition Shares and Sound Recordings directly in the UI or through CSV templates (learn more). For each Composition Share, you have the option to specify related Sound Recording assets or ISRCs. You can find ISRCs in CMS or through external tools such as Sound Exchange. For Composition templates, please fill out the column(s) of ownership rights as specified by your YouTube representative. Territory columns are a space -delimited list of two-character ISO Country Codes. Specify “include” or “exclude” in the Restriction column to govern territory ownership. The maximum number of rows in a single Composition spreadsheet is 3000. If you’re a label or distributor with a direct deal, YouTube accepts delivery of references, which are audio or video files that are used for Content ID matching. YouTube generates “digital fingerprints” from these references and scans videos uploaded by others. Similar to above, you can use spreadsheet templates for “Audio - Sound Recording”, “Audio - Art Track” or “Music Video”. See a list of content delivery templates. You also may have the option to use the YouTube Music DDEX feed. If you’ve never done this before, your partner representative needs to configure your account to accept DDEX files. Follow the instructions on uploading DDEX files to deliver a new album, a new single, a new multi-disc release, or a full update. Plus, DDEX allows you to add a new track to an album or update track metadata. Art Tracks. You can build an Art Track from an “Audio - Art Track” template or DDEX file. An Art Track is intended to provide a single official, label-sanctioned YouTube version of a Sound Recording. When you deliver Sound Recordings that comprise an album, include all of the recordings in one delivery batch. Sound Recordings. In addition to a required ISRC code, each Sound Recording asset can include metadata such as the song title, artist, album, genre, label, and release date. The preferred file format is FLAC or uncompressed WAV. Check out these samples of release profiles for album and track deliveries. For additional guidelines on music metadata, you can consult this article as well as the Music Business Association’s Music Metadata Style Guide. Try submitting test batches of DDEX feeds before delivering more files. For album art, the recommended minimum image size is 1400x1400 at 300 DPI. In cases where two assets are deemed to be identical, they may be merged into one asset. If you don’t have the resources internally, you may work with an approved distributor to deliver your music content to YouTube. 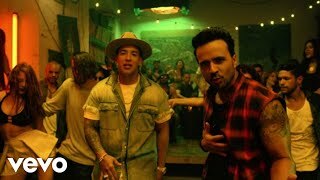 “Despacito” broke the record for most viewed video of all time on YouTube, reaching over 4 billion views! 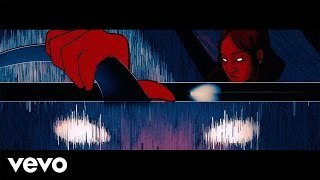 This animated video is for a release from Little Simz’ second studio album, 2016’s “Stillness in Wonderland”. 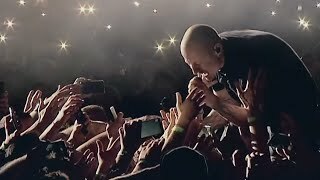 The "One More Light" music video was directed by Joe Hahn & Mark Fiore as a tribute to singer Chester Bennington. 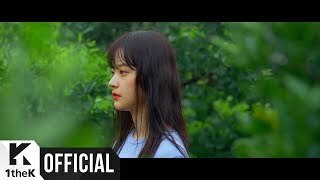 “All of my life” by Park Won is from the EP “OM”.